The Fox Sales Team represents many leading beers and is one of the longest established beer wholesalers in Michigan. 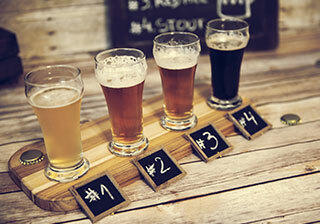 With the recent trends towards premium and craft beers, Henry A. Fox Sales has continued to invest and focus on the exploding Craft Beer segment. Our team of craft beer specialists and cicerones provide our customers with the knowledge, expertise, and passion for our products. The Fox organization is committed to developing and growing our portfolio of Michigan Craft Beers as well as our beers from other highly acclaimed breweries from around the country and the world.